Will Dele Alli be pushed up further to replace him? Perhaps Lucas Moura or Erik Lamela could fill in? Or maybe Fernando Llorente will finally be given his chance. Scratch that last one. Somehow, an actual centre-forward replacing a centre-forward seems the most unlikely solution to Tottenham’s Harry Kane problem. Matt Law of the Daily Telegraph runs through the possible answers to the question of ‘who will score all of the goals now?’ And while he says Mauricio Pochettino ‘will not be pushed into panic buying’, he goes on to list three potential transfer targets the club may consider with their reported £50m budget. Spurs were apparently ‘already looking at potential replacements for Fernando Llorente’, and while it does seem unlikely, a new signing is an option. 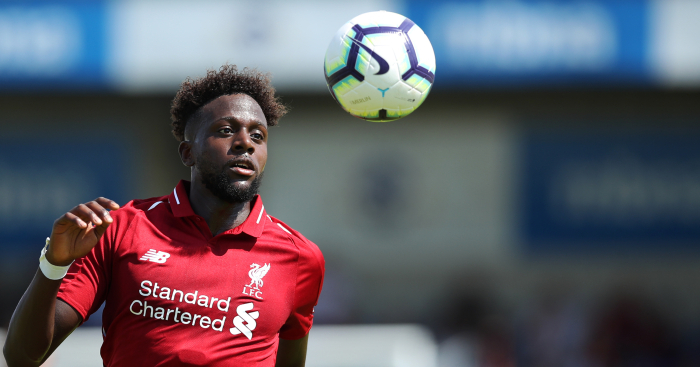 Pochettino quite likes Jay Rodriguez, David Pleat has Daniel Levy’s ear and is a fan of Hull’s Jarrod Bowen, while Divock Origi ‘is the right age and profile’. Fulham were quoted £15m for Liverpool’s forgotten Belgian earlier this month. That probably hasn’t changed all that much. The idea of Manchester United being ‘set to scout’ a player is quite hilarious, and further proof that words have lost pretty much all meaning when it comes to transfer-related football news. The story is that Ole Gunnar Solskjaer wants to ‘bolster his attacking ranks’, with Steven Bergwijn of PSV his main target. The Sun’s exclusive doubles down on the first paragraph, saying that the interim manager is ‘set to deploy scouts to keep tabs’ on him. They suggest that he could cost around £25m. For a 21-year-old with ten goals and eight assists in 24 games this season, as well as three years left on his contract, PSV might have a word to say about that. 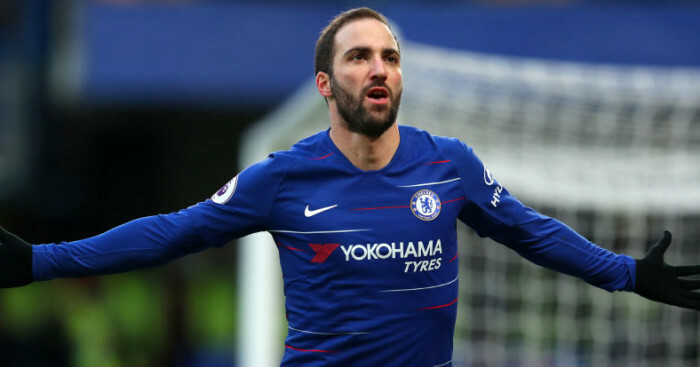 Chelsea’s move for Gonzalo Higuain edges ever closer, with the Daily Telegraph saying an ‘official offer’ has been made. 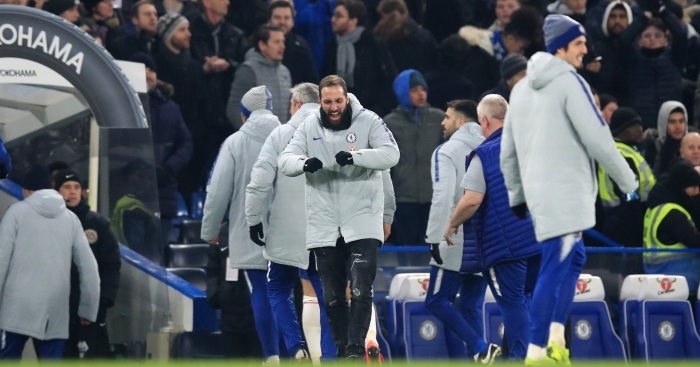 The Blues are hoping to sign Higuain on loan for the rest of the season, with his current spell at AC Milan cancelled. 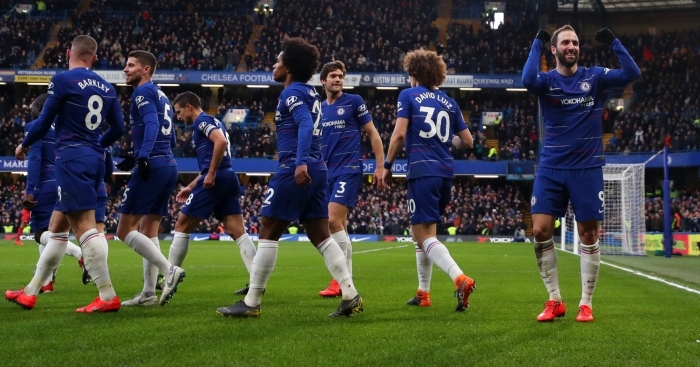 Chelsea would then have the option to buy the 31-year-old or loan him for another 12 months in the summer. His move will trigger a striker merry-go-round at Stamford Bridge, with the club hoping to recoup around £85m on their unwanted forwards. The first will be Alvaro Morata, who seems likely to return to Madrid. Atletico ‘are in advanced talks’ to sign him according to Sky Sports, and Chelsea ‘value him at £45m’. Then there’s Michy Batshuayi, whose loan spell with Valencia has not gone as well as planned. He is ‘desperate’ to join Monaco, say the Telegraph, and has agreed personal terms. But Chelsea are holding off on the deal for now as they are hoping to sell Batshuayi outright for £40m. Everton ‘have indicated an interest’ in the striker, but have already taken Kurt Zouma on loan from Chelsea. So they will have to sign one of those players permanently if they wish to have both. As things stand, Chelsea are likely to bring Higuain in on loan, send Batshuayi out to Monaco from Valencia, and sell Morata to Atletico. And probably still end up playing Eden Hazard up front. West Ham have lined up Celta Vigo’s Uruguay striker Maxi Gomez, 22, as a potential replacement if 29-year-old Austria forward Marko Arnautovic leaves… Manchester City are set to lose out to Paris St-Germain for Ajax’s Netherlands midfielder Frenkie De Jong. The 21-year-old would prefer to join City and play for Pep Guardiola, but PSG are the only club willing to meet Ajax’s £66m asking price… Manchester City and Chelsea are keen to sign Spursmidfielder Christian Eriksen, although Real Madrid remain favourites to sign the 26-year-old… Bayern Munich say they are in talks to sign Chelsea’s 18-year-old English winger Callum Hudson-Odoi.